Traffic, shares and readers – which blogger doesn’t want more of these? But are you really doing all you can to get them? There are a lot of articles on blog promotion tips that you’ll see online. But few of them have a comprehensive plan to help you get the most you can out of it. Download your Blog Promotion Checklist and start implementing these tips immediately on your blog. In this post, I’ll take you step-by-step through the process of optimizing and promoting your blog, so that you can get maximum traffic, shares and readers. Before you start promoting your blog, you need to get it ready for visitors and content. Here are the steps you need to prepare your blog for success. If you have a self-hosted WordPress blog (which I highly recommend), optimizing it isn’t that difficult. Do all these things one by one and you’ll have a well-optimized blog ready to be spidered and ranked by Google and other search engines. Your permalinks are the URLs that are displayed in the browser when a visitor goes to your blog domain or post. 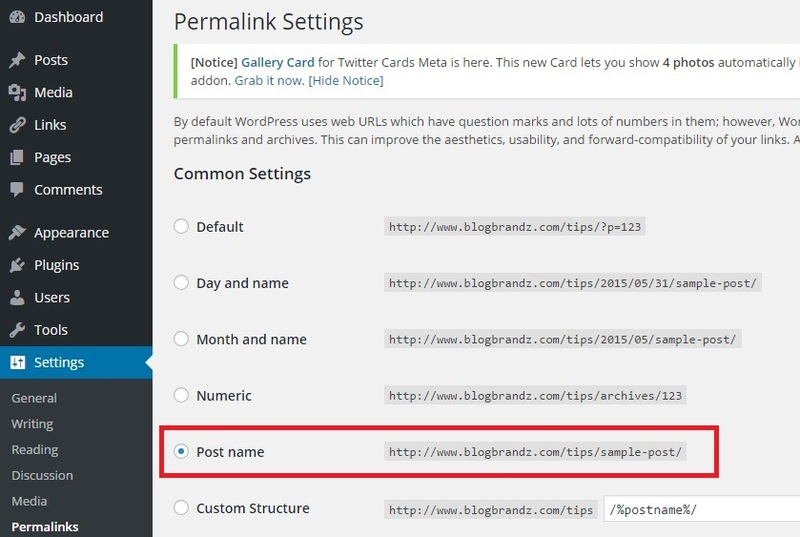 In WordPress, you need to optimize your permalinks by going to Settings > Permalinks and choosing the Post Name settings as shown in the image below. This will ensure that WordPress includes the keywords from your headline in your blog permalink once it is published. This is important because keywords in the permalink are an important Google ranking factor. Yoast SEO is the most comprehensive SEO plugin for WordPress blog. It has practically everything you need to optimize your blog, from creating a sitemap to implementing social media metadata and Rich Snippets. Once you have installed it, you need to ensure that your Facebook Open Graph settings are switched on and the Twitter Card settings are set to show a ‘summary with large image’. Also, do this for Google+ and Pinterest. This will ensure that your images are optimally displayed in all social media channels. This tip is courtesy of David Trounce. People often forget (or are not aware) that your internal links count as backlinks in Google’s search algorithm. What this means is that Google is reading your internal links, and noticing the content on your site that those links point to. Like all backlinks, it’s a popularity contest. The pages with the greater number of links pointing to it is going to get the better boost in Google’s search results. One of the ways to take advantage of this – and something over which you have full control – is to optimize your internal links to point to your most important pages. The best way to do this is by creating content hubs around similar keywords or themes. Research long-tail keywords to base your blog’s content around. Use Brian Dean’s methods for finding unique keywords. 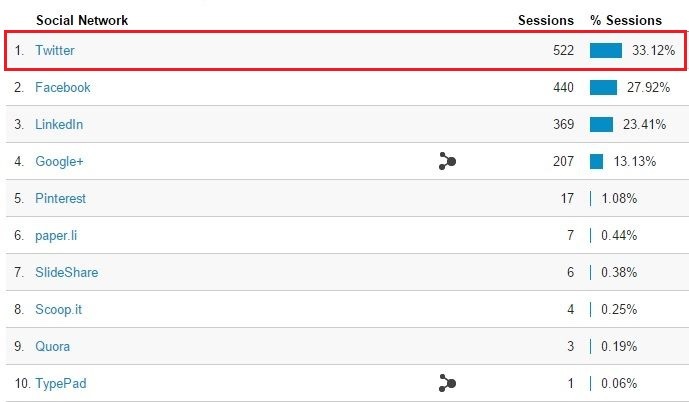 Check out his Definitive Guide to Keyword Research for some of the best methods to find keywords that you should target when creating content. Neil Patel outlines 3 steps to dominating Google’s top 10 with long tail keywords. Use the techniques taught by these two experts to identify the long-tail keywords that you are most likely to get ranked for and create content around them. Optimal blog content is now 1600 words. A study by BuzzSumo and Moz found that long-form content of over 1000 words consistently receives more shares and links than shorter form content. The average web page that ranks on the first page of Google has over 2,000 words of content, according to Quicksprout. 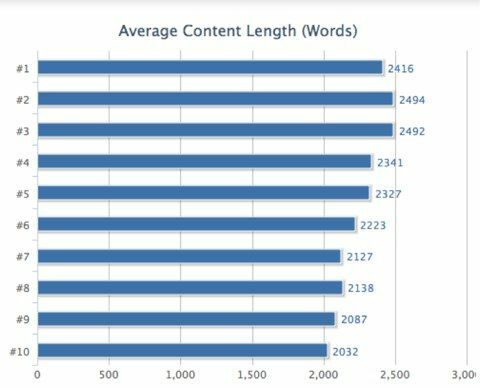 The graph above (courtesy of QuickSprout) shows that the average content length for the top ten listings in Google is over 2000 words. If you want to create viral content, aim to publish posts that are longer than 1,500 words, says Brian Dean. If a post is greater than 1,500 words, on average it receives 68.1% more tweets and 22.6% more Facebook likes than a post that is under 1,500 words. Read more about the kind of content you should be creating in 2015 and beyond. If you want to create content that attracts both links and shares, think like a journalist and create content that is well-researched and opinion-forming. If you want to know what truly epic content looks like and what sort of content will get you more traffic, check out these articles by Neil Patel. 14 Examples of Truly “Epic” Content: How Does Yours Stack Up? List posts or ‘listicles’ are a very popular content format. Brian Dean recommends creating expanded list posts (ELPs) that are longer, more thorough and well-researched than the best posts in their category. The same study by BuzzSumo and Moz also found that list posts and videos achieve much higher shares on average than other content formats. This tip comes from David Leonhardt. He recommends that when you write for specific, identifiable niches, you have an audience to promote it to. He also gives an example of what this would entail. On-page SEO factors are some of the most important ranking factors for Google and include not just content, but also the user experience that you provide your visitors with. When publishing your blog posts, ensure that your fonts are large and easily readable on all devices. Use lots of white space and break up long paragraphs so that they are not more than 2 to 3 lines in length. Use H1, H2, H3 header tags with your keywords in your headings and sub-headings. Add bullet points where applicable. In this infographic on Hubspot, Brian Dean recommends that you invest in your blog’s design. The better your content looks, the better the response you’ll get. Give your readers a good user experience when reading your blog posts and they’ll appreciate you more for it. Thanks to Google’s Mobilegeddon update, it’s now essential to have a mobile-friendly version of your blog. Mobile users are also 5 times more likely to abandon a site that isn’t optimized for mobile devices. Thanks to responsive themes and plugins, optimizing your blog so that it is easily accessible on mobile devices is free and easy. A great mobile user experience is a crucial part of preparing your blog for promotion. Page Speed is now one of Google’s ranking factors. Your WordPress blog needs a fast-loading and light theme to load quickly. I chose the Astra WordPress theme for this blog as well as my travel blog, because its the fastest, fully customizable and most beautiful theme for blogs, personal portfolios and business websites. What this means is that when writing your headlines and page copy, you need to ensure that your keywords are at the beginning of the headline or page title, so that you get the search ranking benefits of keyword prominence. So, if you want search engine users to read your blog posts, when they find them in the search engine results pages, you need to ensure that your headlines are relevant, grab their attention and make them want to read more. 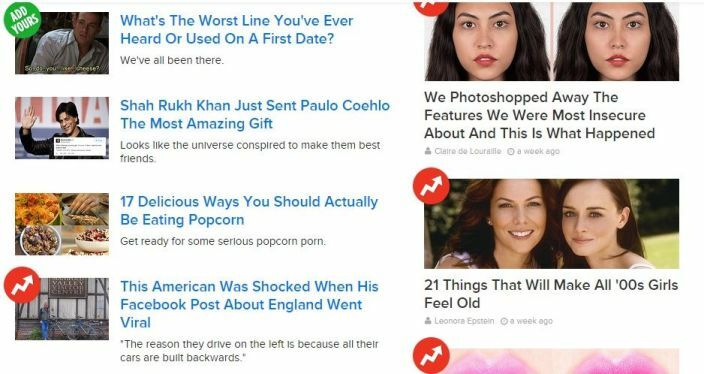 If you want to learn how to write catchy headlines, study the ones written by Upworthy and Buzzfeed. These “clickbait” headlines are proven to work in getting people to click on them. If you need some help writing better headlines, check out these tools to help you write captivating headlines. When it comes to optimizing your blog images, not only should you make sure that your images are compressed and optimized for mobile display, but they also need to be optimized for Google Image search and social sharing. To decrease image size, use an image optimization tool like RIOT that will compress your images by almost 50% or more without loss of quality. You can also use a number of free image compression tools online. To optimize your images for Google Image search, give your images relevant names and use the Alt tag for images when you upload them on your blog. To optimize your images for social sharing, make sure they meet the optimal sizes for Pinterest, Facebook and Twitter, which are the most important social sharing networks. Facebook comments offer your blog readers the option of sharing their comment, and your blog post, to Facebook every time they post a comment on it. It adds a viral component to your comments that few other commenting services can bring. It also makes it easier to control comment spam as commenters have to use their real Facebook profiles while commenting. Pinterest is a huge source of traffic for bloggers and it’s not possible to ignore the over 250 million people who use it in 2018. If you want to capitalise on the potentially viral traffic that Pinterest can bring you, your blog needs to be optimized for Pinterest shares. Technically, you don’t even need a blog to build a list. All you need is a landing page. You can also use lead-capture forms in popups, sidebars, welcome pages, to collect emails. Offer an incentive to subscribers (free webinar, content upgrades, free email course), and then send them updates whenever you publish a new post on your bloggers. Even before Sumitha Bhandarkar launched her blog, she already had collected 1,357 email addresses for her email list, so she didn’t have to blog for zero on day one. She achieved all this using guest blogging. You can use free services, like FeedBurner, or professional email marketing services, like GetResponse, Convertkit (affiliate link) or MailChimp, to start capturing emails. The downside of Feedburner is that it sends out an email with your full blog post so that your subscribers never have to visit your blog to read it. If this is alright with you, Feedburner is free and can be scaled up without any investment. It also offers you the option of exporting your list if you want. However, you cannot use Feedburner to send subscriber-only lead-magnets freebies or exclusive offers to your list as it will only send out blog updates. GetResponse and Convertkit are professional list management systems that allow you to set up a blog broadcast campaign to send updates to your list whenever you want. You can choose to send out updates immediately after you post or send a weekly or monthly newsletter instead. If you have a self-hosted WordPress blog, read my article on managing and growing your blog subscribers on WordPress. Guest blogging is not only a great way to build a list, but also to build backlinks to your blog and get referral traffic. Ever since Matt Cutts announced that guest blogging on low-quality blogs can get you penalized, bloggers have been scrambling for ways to get the best out of their guest blogs. The best way to do a guest blog is to choose authoritative blogs that target your audience personas. Write your best content for them. Insert links to your blog posts in the body of your guest post and insert a link to your blog in your author bio. If you want to learn more, read Brian Dean’s Definitive Guide to Guest Blogging. Accepting guest posts from others is also a good way to promote your blog because your guest bloggers will promote their posts to their own networks. If you manage to get an influential blogger to write a guest post for you, it works even better. Getting one extra influencer to share your article has a multiplier effect, according to the study here. But before you ask, you need to give. You need to start building relationships with influencers before you even start talking about yourself. You can start building that relationship by linking to other influential bloggers in your post and send them a heads-up on Twitter or email. Reach out to influencers even before you post your blog. Send them your content before you publish, and ask them for feedback. Incorporate their suggestions and send them a link to the published post. They’re more likely to promote it if they feel they’ve contributed to it. It also works to help them out with a problem on their site. Acuity Training recommends running a broken link check before sending an outreach email. If you do find a broken link and tell the influencer, they’ll be much more likely to respond to your email. Sujan Patel’s ContentMarketer tool helps you find anyone’s email address. 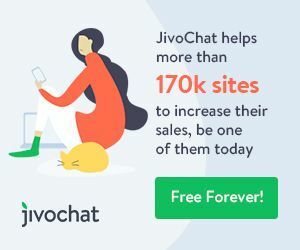 It also provides email templates to send outreach emails, so you can connect with influencers, build links, and promote your content. A must-read post is Brian Dean’s Skyscraper Technique, which shows you how to reach out to influencers to get them to promote your content. Another way to promote your blog is to interview influencers, who will then send out the interview to their own networks. You can do a video, audio or a text interview. The idea is that you’re promoting the influential blogger on your own blog, which gives them an incentive to link to you and share the interview with their networks. MyBlogU is a community of bloggers that collaborate to brainstorm and create content, which they then promote to their own networks. If you want to get cited by other bloggers, and maybe get a link back to your own blog, join MyBlogU and respond to offers to be interviewed. Another way to collaborate is to join Facebook Groups for bloggers that are specifically for collaboration and building community, such as this Group for Travel Bloggers. Some bloggers make it all too hard to share the content on their blog. When I am reading your blog, and want to share it, I should not have to search all over the page for your social sharing buttons. They should be in my sight all the time. 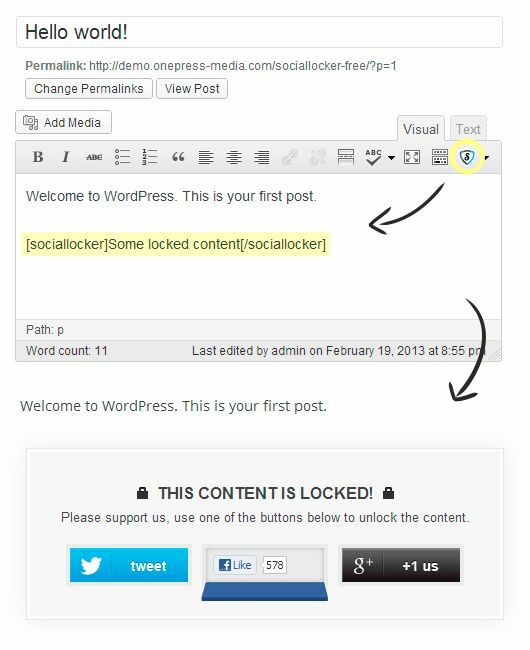 You can easily incorporate social media sharing buttons on your blog using a number of WordPress plugins. The best plugin I have found to do this is AddToAny. It creates an elegant floating share bar that follows your readers as they scroll down, and provides a cumulative total of the Facebook and Pinterest shares to your blog post, creating social proof of your shares, that encourages other readers to share your post too. You can use a WordPress plugin like Blog2Social to help you customize, schedule and publish blog posts automatically and individually to all your social networks. With just one click, the plugin will publish your post on your personal selection of profiles, pages and groups on Facebook, Facebook Pages, Google+, Google+ Pages, Google+ Communities, Twitter, LinkedIn, LinkedIn Pages, LinkedIn Groups Xing, Pinterest, Flickr, Diigo, Tumblr and Storify. It allows you to customize your posts and comments for every network to add #hashtags, tags, keywords or @handles, where applicable. Check out the post here for over 30 social media sites where you can share your blog content. Optimize your content length and formatting to get maximum engagement on each channel. For instance, when sharing your post on Google+, you can use a number of formatting tricks, like a bold title and italics in your post, to improve the appearance of your content in the newsfeed and boost engagement. Researchers, Chenhao Tan et al, found that, if you want to get retweeted more, write tweets that include more information clearly, use language that aligns with previous messages and with the community at which it is aimed, and mimic news headlines. Requesting followers to retweet also helps. Hubspot found that tweets including either “Please ReTweet” or “Please RT” are more likely to get retweeted than tweets without those phrases. Share and reshare your blog posts on your own social media channels multiple times. Chris Well recommends that you post to social media multiple times – with different headlines. Links to evergreen content can be re-scheduled over and over for as long as the content is still valid. If you want to re-promote evergreen content on an endless cycle, SocialOomph allows you to create queues that rotate links to evergreen content. It also allows you to plug in multiple headlines for each link, and will randomly choose a different headline each time the item comes back to the top of the queue. If you want to get maximum exposure for your blog posts on social media, you have to know when to share your posts. Of course, it depends on where your audience is. If you want a local audience to see your posts, you need to share it at the times when they’re most active on social media. If your audience is global, you should share it multiple times so social media users in different time zones can see it. It’s best if you test at different times to see if they work for your own audience. Your posts in Facebook Groups can actually give you better visibility on Facebook. If you’ve joined a number of Facebook groups that cater to your target audience, you can share your blog post to them, in a staggered and non-spammy way. Don’t overdo this sort of sharing as Facebook will suspend your sharing privileges if you get reported for spam. Think of it as one more way to get your content in front of your target audience and use it sparingly. Content gating is a great way to encourage your readers to share your content. It involves requiring them to tweet, share or +1 your blog post in order to read it completely. Doyan Wilfred notes that if you want people to share, you should give them a reason to do so. 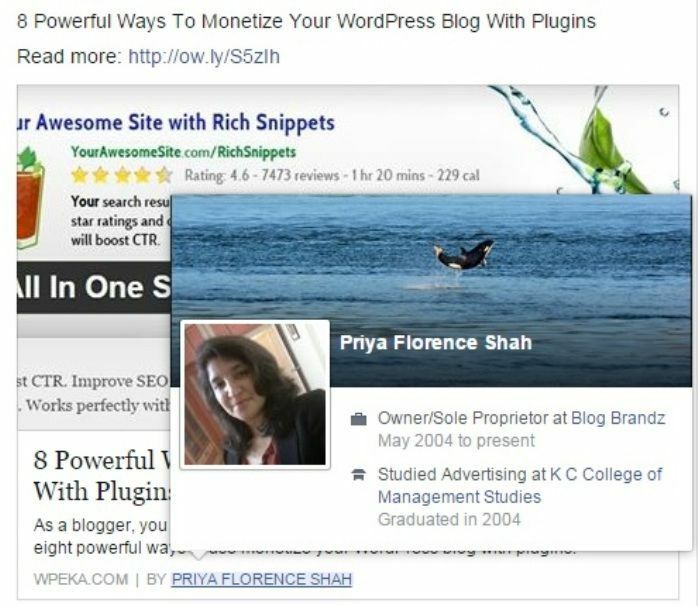 She recommends using a WordPress plugin like OnePress Social Locker to boost your Facebook, Twitter, and Google+ shares. Missinglettr is a drip-marketing tool that analyzes your blog post, looking for quotes, content and imagery it thinks will work well on your social platforms. It even knows how to find hashtags that will help your content really stand out. Now, whenever I publish a blog post, I get sent an email (within minutes of me hitting ‘publish’) inviting me to review a full 12-month social marketing campaign for the blog post I just published. Track all your clicks and conversions on social media and other channels by using a click-tracking tool like ClickMagick. This is a tracking and optimization platform that helps you to scientifically track and optimize all your marketing. Check out their Tracking Magick Guide, a 1-hour introduction to click tracking and conversion optimization for small online business owners and entrepreneurs. Social bookmarks are different from social shares and involve submitting your post to sites like subreddits, Tumblr, StumbleUpon, Digg and other bookmarking sites. Many of these sites are built around a community and you have to be an active member of the community to share so that your posts get some traction. Or you can work as a group with other bloggers so that all of you have better access to more social platforms, advises David Leonhardt. To learn how to use Reddit to promote your blog, check out Neil Patel’s post below. Joining a blog community is a good start to your blogger outreach program. You’ll find that users just like you have created communities for people with common interests. Here’s a list of blog communities that allow you to submit your posts. Each of these communities has their own rules, so remember to read their requirements and play by their rules. Require followers to subscribe to your blog or download your free lead-magnet to join the group. Pin your latest post to the top of the Facebook group. Posts ending with a question get 162% more interactions than the average post. The BuzzSumo and Moz study also found that people tend to share content that looks trustworthy. They recommend having a byline at the beginning of every post, and a bio at the end to make your content look trustworthy. On Facebook, you can include your byline in posts by implementing the Facebook authorship feature on your blog. This will display your author byline, link it to your Facebook profile, and help you grow your audience by helping people follow you on Facebook. It’s a small action that can help create trust in your blog readers. Twitter is one of the best networks to promote your blog content, whether you have a B2B or B2C business. If you write and publish a blog, you must use Twitter to promote it. You’ll not only get more shares but also more traffic from Twitter if you spend some time and effort building a targeted and engaged following on this social network. As you can see below, Twitter is the largest source of social referral traffic for this blog, with over 30% of social traffic coming from Twitter. Twitter is also an important network to be active on if you want to build relationships with influential bloggers. Start by retweeting their content so they notice you, and go on to build relationships with them by engaging with them and their content on Twitter. David Leonhardt recommends pinning a post to the top of your profiles, on both Twitter and Google Plus. This can either be a post of your most recent blog post, or a post inviting people to join you elsewhere to build up your following. For example, if you want to use Twitter to grow your following on Pinterest, you can pin a Join-me-on-Pinterest tweet pinned to the top of your Twitter profile. Christopher Benitez recommends creating multiple Twitter accounts to amplify reach. Aside from your business Twitter handle, create multiple Twitter accounts using different emails. Build a following on those Twitter accounts by sharing relevant high-quality posts related to your niche, retweeting other users, and interacting with them. Once you have built a substantial following, you can promote your blog posts there. This way, you create more opportunities for your post to be seen by other Twitter users. To make managing and sharing posts on your multiple Twitter account much easier, he suggests you use Buffer to manage all your accounts there. When sharing posts, use the tool’s Power Scheduler feature so you can automatically queue the tweets at different times within the week. Of course, you would probably need a virtual assistant to build so many Twitter accounts. But if you can manage this, and overlook the fact that this is slightly black-hat, you will benefit from the amplification you get from this method. Pinterest users are super-engaged folk and love repining and sharing great visuals. If you post great visual content on your blog or create specially designed images and infographics, you should use Pinterest to promote your blog. The Tasty Pins plugin (affiliate link) allows you to optimize your blog’s images for Pinterest, SEO, and screen readers. Ensure that your images can be pinned on Pinterest by adding a Pin It button or on-hover Pin It button, to your blog posts. The easiest way to implement these buttons on your blog is with the Pinterest Pin It Button For Images or the Pinterest “Pin It” Button plugins. Grow your followers on Pinterest by spending some time on the site repinning other users Pins and sharing your own blog posts to the site. Create Pinterest boards to categorise your Pins and allow other users to add pins to your boards. Automate your Pinterest scheduling with Tailwind, Pinterest’s approved scheduler. Schedule posts, discover content, monitor conversations, amplify your reach, and measure results. Best of all, you get access to Tailwind Tribes, which can really take your content viral. Pinterest Traffic Avalanche (affiliate link) is by far, the BEST Pinterest course on the market! And I’ve tried almost all. Check out my review of this course and the results I managed to get with it. You can repurpose or republish your blog posts on LinkedIn. Republishing your blog content to LinkedIn allows you to reach out to a whole new audience that might otherwise never read your content. If your blog post gets published on LinkedIn Pulse, your content will get the kind of visibility that you could never get on your own blog. You can also build a significant following on LinkedIn, independent from your blog subscribers. These followers will be notified every time you publish a post on LinkedIn. If you’re worried about duplicate content, know that this is not an issue, because Google will rank your blog URL as the canonical link and ignore the new link (See this video from Matt Cutts for more clarification). Participating as a valued member of LinkedIn groups means that you might be able to share your blog content to those groups, as long as it is relevant and useful to their members. You can join up to 50 groups on LinkedIn, so make sure you join relevant groups that you know you will participate in and contribute to. Laura Sheptoski recommends keeping track of how active a group is before posting. Sharing on LinkedIn groups is especially useful if you have a B2B business and want to prove your credibility and expertise to other businesses. Forums or message boards are still an excellent way to network, build relationships and share your content where it is relevant. Just make sure you don’t spam the forums with your content and that you participate as an active member before sharing any content from your blog posts. The best way to share your blog posts on a forum is in response to a question that a user has asked and that is partly or wholly answered in your blog post. In that way, forums are also an excellent source of ideas for new blog posts. A bunch of automated content curation and aggregation sites have sprouted up in the last few years. Sites like Rebel Mouse, Flipboard, Paper.li and Scoop It, allow you to create your own web page of curated content. They are a quick and easy way of aggregating content from various sources, including your blog, and publishing it to your Twitter feed. For a list of content curation sites that you can use, go here. Personally, I don’t put much stock in content curation, because I believe that if a tactic is too easy, it will quickly get overused and lose its value. But it might help increase the visibility of your blog on social media. Content syndication is another way to boost the reach of your content beyond the audience on your own blog. By syndicating my content on sites like Business2Community, I was able to reach a much wider network of readers and get 10 times more shares of my content, than I got on my own blog. Thanks to them, I also managed to get published on Monster.com and Yahoo Small Business. Learn how to become a contributor to Business2Community here. Commenting on blogs is still an excellent way of getting referral traffic. Choose blogs that write to an audience similar to your own and post insightful and useful comments if you want to get noticed. Join Facebook groups that have blog comment threads – you can get blog comments in exchange for commenting on other people’s blogs. Just like forums, Q&A sites like Quora are a great place to promote your blog content and also get ideas for new blog posts. Do some research on Quora, see what sort of questions your target audience is asking and then write a blog post that answers those questions. Then post your answer to that question, with a relevant excerpt and link to your blog post. If your answer is really useful and gets upvoted, you could get a lot of referral traffic to from Quora. Creating a mobile app for your blog and getting your readers to download it is a great way to get repeat traffic from mobile devices. Every time your blog is updated, your app users will get a notification so they can read your posts within the app itself. An app also gives your mobile users a better user experience than a responsive website because it is optimized for the mobile environment. If you have a WordPress blog, you can use a plugin, like Wiziapp, to create an app for your blog. Check out this post for 5 Plugins to turn WordPress into a mobile app. A much-underestimated method of promoting your blog is in your email signature. You can either post a link to your blog in your automatic Gmail signature or use a service like WiseStamp that will pull your latest post from your RSS feed and display it in your email signature. Every time you send an email, you are now promoting your blog too. Do you give speak at events or give workshops? Include a link to your blog and your lead-generation offer in your slides and ask participants to visit your blog and subscribe to your offer. Offer a lead-magnet using an email marketing system like Convertkit, and make it easy to promote your lead-magnet by buying a short and easy-to-remember domain that you can list on your business card. Every time you attend an event, it’s an occasion to promote your blog and your business. You can put links to your blog on your business cards, or a special domain and give them out at workshops or conferences you organize or attend. You can also start a Meetup group around the topic of your blog. For instance, if your blog is based on Small Business, you can start a Meetup group for Small Businesses in your city or town and get a chance to establish relationships with potential readers. But the most important part of the event is the Follow-Up email where you can reintroduce yourself and what you do, send out a link to a page where you can offer a lead-magnet and get them to subscribe to your blog. This is another tip from Rand Fishkin. He recommends gleaning insights from your Google Analytics to see which posts are getting more traffic, where your traffic comes from, seeing what works and what doesn’t for your readers. 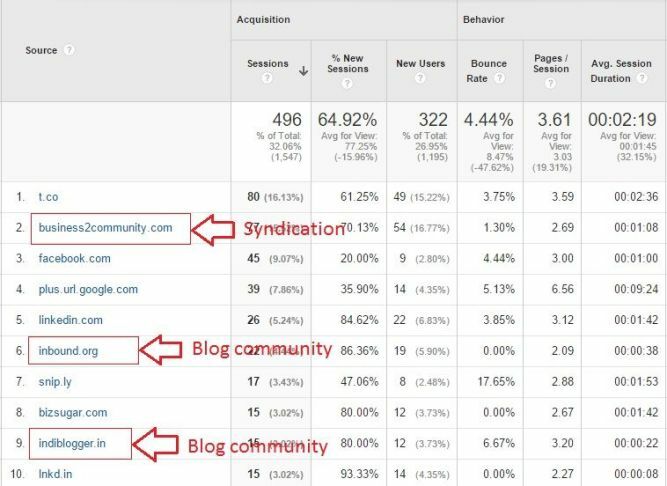 You can also keep track of which blog communities and syndication sites are sending you the most referral traffic, so you know whether to continue promoting your posts there. Want to interact with your blog readers and understand them better? Start a Tweetchat on a topic related to your blog. Create a unique hashtag for your chat. For instance, if I had to start a Tweetchat, I would probably use the hashtag #blogbrandz to promote branding around my business and blog. As this post on Social Media Examiner notes, Twitter chat is a great opportunity to listen to your community. Ask questions and you’ll get answers immediately. Check out the post for more great tips on hosting and running a Tweetchat. Want to piggyback your blog on a great piece of content from someone else? Use Snip.ly. It allows you to attach a Call-To-Action to every link you share on social media. See how I did it when you click the link to this article on how to use Snip.ly to drive traffic to your website. A great way to promote your blog to different audiences who prefer different ways of consuming content is to repurpose your blog posts from text into audio, PPT, video and infographics. This gives you more avenues to promote your blog as each of these content formats can be promoted on sites like SlideShare, YouTube, Visual.ly and various podcast sites. It also attracts a different kind of reader, one who might prefer video over text, for instance. You can see how I repurposed my blog post, Why Do I Need A Blog? I Have Facebook, Twitter And LinkedIn into the video here, allowing me to post it on YouTube as well. As you can see in the image above, this plugin does help me get traffic from social networks. If you want to get quoted in the press and let journalists know that you’re an authoritative source of information on a specific topic, cultivate relationships with them and send them a link to your blog posts every time you publish. You could even get an offer to syndicate your blog post to their website or be asked to write a column for their publication. Twitter is a great place to build relationships with journalists so make sure you have a significant presence there. If you’re willing to pay for people to view your posts, you can pay to promote your posts using options like Outbrain, Facebook Promoted Posts, and Google Adwords. You could consider purchasing text link ads on high-traffic blogs. You can also purchase credits on sites like ViralContentBuzz and JustRetweet (recommended by David Leonhardt) that help you promote your blog content on social media. These are social sharing platforms that will help you get more shares to your blog posts by allowing other members to promote your content using their credit system. You can buy credits to get more exposure to your profiles and tweets. If you publish a vlog or video blog, you can create YouTube cards and Call To Action Overlays to get your viewers to visit your blog and subscribe to your mailing list. When your viewers click on the More Info link in your video, it will open out into the YouTube cards as shown below. You could offer an exclusive, unlisted video free to your subscribers, as bait to subscribe, since they already love your videos and would probably love to see more of you. Also, include the URL to your blog in the Description of every one of your YouTube videos so you can get more referral traffic. “SlideShare is really the ‘YouTube for PowerPoint presentations’, allowing you to embed and share presentations anywhere on the web,” says Gregory Ciotti. SlideShare also has a high authority presence in Google search results, so creating presentations that rank for keywords can be much easier than ranking a post on your blog. Include a link to your blog in your SlideShare presentation description. Optimize your SlideShare presentation using relevant long-tail keywords. 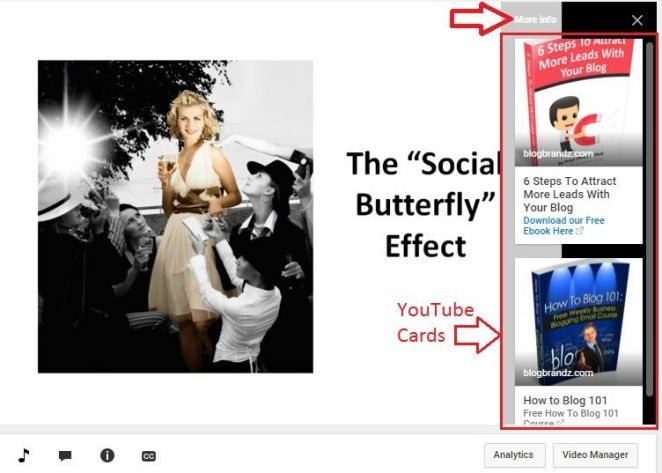 To learn the best ways to leverage SlideShare for blog traffic, read Pat Flynn’s awesome blog post below. This tip is from David Leonhardt. He recommends joining a social sharing tribe on Facebook or Skype that will share your content with their own networks. Some tribes can get over 50 tweets to your post. The idea is that you all pool your followers, and everybody shares one post from each participant to their followers any day you choose to participate. There are blogger sharing threads for Twitter and Facebook and Instagram, as well as some specific for commenting. All you have to do is look for them on these sites and participate in them. One of the bonuses with my Become a Content Magnet Masterclass is a list of blogger communities and sharing threads that will help you boost your blog shares. For most social networks, except Facebook, hashtags boost the discoverability of your content. That is, they make it easier for people to find your content. But as Kevan Lee writes on Buffer, there’s a science to using hashtags. Tweets with one or more hashtag are 55% more likely to be retweeted. Tweets with hashtags get twice the engagement of tweets without. When you use more than two hashtags on Twitter, engagement drops. On Facebook, posts without a hashtag fare better than those with a hashtag. Brent Csutoras reports, in this post on Search Engine Journal, that hashtags have a greater impact on Google+ than on Twitter. Hashtags on Twitter resulted in under a 2% increase in Retweets and Favorites. On Google+, however, hashtags were able to boost re-shares by over 5% and +1s by around 2%. Minuca Elena recommends including click to tweet quotes, as she does in her expert roundups. She likes using the Social Warfare plugin, which is a paid plugin, and very easy to use, in comparison with other free plugins. Another plugin you can use for this purpose is the Better Click To Tweet plugin from Ben Meredith. 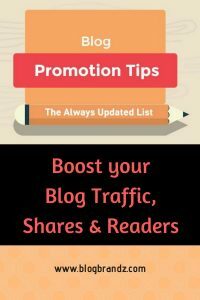 Did you like these blog promotion tips? Which of them were your favourites? Click here for a list of blogging tutorials to boost your traffic and income. This list will be constantly updated with new tips, so if you have any unique tips of your own to share, post them in the comments below, along with a link to your website, and I will add it to this post. You’re welcome. Mahesh. Your post was very useful. Very very thanks for sharing this great post……this is very important for me……. Glad you found it useful, Amul. What an awesome post you have given us to read. You covered all the bases. Not only for seasoned bloggers but for all bloggers. I tried to get my download but it took me to a site called Blog Brandz and I couldn’t find the download. Please send it to me via email. I have bookmarked this post as it is full of massive value. You both have a wonderful night and weekend ahead! So glad you found it useful, Linda. Sorry about the issues with the download. Please use the subscribe link here to access it. Have a great weekend and thank you very much. This is not just a list but a guide. It is rich and practical! The details are clear and could readily spur one to take action! Yes, most people want more share, traffic and readers but are not doing what it takes to achieve these. With the right content creation and promotion strategies, all would be smiles! Although I have been applying a lot of the strategies listed here, some of them are pretty new to me! I have bookmarked for future reference and would be waiting for update! I left the above comment in kingged.com where this list was share on kingged.com as well. Thanks so much for your comment and for sharing the post, Sunday. I really appreciate it. I will keep adding to it and let my subscribers know. There are multiple tips about blog promotions. All are effective, smart, there are not so easy and easy, but all are worth the try IF it is used in the right strategy, right people and right purpose. Of course preparation for your blog is important. All ought to be well prepared. While in my point of view, one of the ideas I have in blog promoting is building your subscribers list or mailing list. The power is in the list, and that is what most successful web marketers and business owners will tell you. Rich Brooks, a blogger once tell that you need to time your email delivery. Doing so is smart and effective. Just like publishing your blog and sharing posts on multiple social media accounts, timing is EVERYTHING. If the timing is right, you can magnetize the right people at the right time. Logically, if the posts are high quality, you’ll be successful in your blog promotion. These are good points, Metz. Timing – when you publish your post, share it on social media – is important for maximizing traffic and engagement. Wow! … what an EPIC Blog Post on Promotion! You really did an amazing job here! It is almost like the Quora Strategy. But Forums are a great way to get free traffic to your blog, especially in the Home Based Business/Internet Marketing Niche. You pretty much covered everything there. I love it! Definitely worth a share. Sharing it out now! 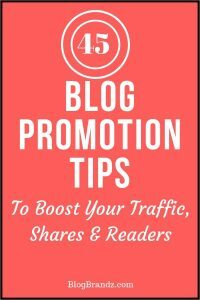 Indeed a great post about blog promotion. To run a blog properly, We should must have some regular readers and to get regular readers, We must have to promote our blogs regularly. Blog promotion is very much important nowadays. We should have the ability to attract readers eyes. I really like the way of blog pormotion you explained here and I am completely agree with you. By following these techniques, We can drive regular readers on our blog. As I think, to get regular loyal readers, We must have to write high quality and engaging content because content is the only thing which can attract readers from different different sources whether It is a social media or email outreach. Content should have the power to attract readers. Along with these places, Facebook groups has also a great potential. We can drive huge traffic and readers from these groups If we have written the awesome content. Thank you for your feedback, Brenda. Yes, Facebook groups is a good place to promote one’s blog. Great List. Thanks Priya for sharing the extended list with us. Really It’s a helpful post. I am going to implement it for my blog. I am going to start with the slideshare. I have a question. At number 15, you discussed about Social Bookmarking. I heard that social bookmarking is not useful now a days. What’s your opinion about this? It depends on which sites you bookmark your blog post to. Sites like Reddit, Inbound, Growth Hackers etc. are still very relevant and can bring a lot of traffic. Choose your bookmarking sites carefully and stick to high-value sites. This is totally the Blog 101 Course everybody on the internet should be taking – seriously. Thank you, Tony. Much appreciated.